In the anonymous office park of a modern software company, whip-smart software engineer Henry Hurt is a man in the middle: of life, of career, and of self-assessment. Mired in his corporate responsibilities, Henry's deathless office existence is torpedoed by losing his mother. Overcome by "the pall", Henry seeks escape in a quest for love and purpose occasioned by a crisis in his company's fortunes. Dodging an Iago-like rival, he finds love with a colleague in his department, endangers his bond with his family, and finally confronts the single urgent question of his life. 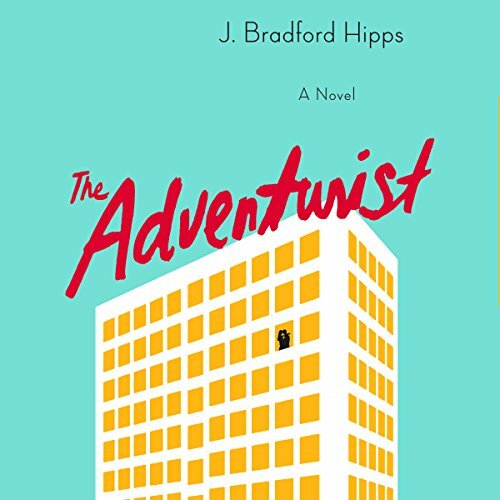 The Adventurist is about relationships: Henry has complicated ones with his sister, Gretchen, who has stayed at home with their father; his lover, Jane, a sleek and efficient mirror image of Henry; and a tantalizing potential girlfriend, Madison, the ultimate free spirit. But his relationship to his corporate and familial responsibilities may change his fortunes even more than the women in his life.